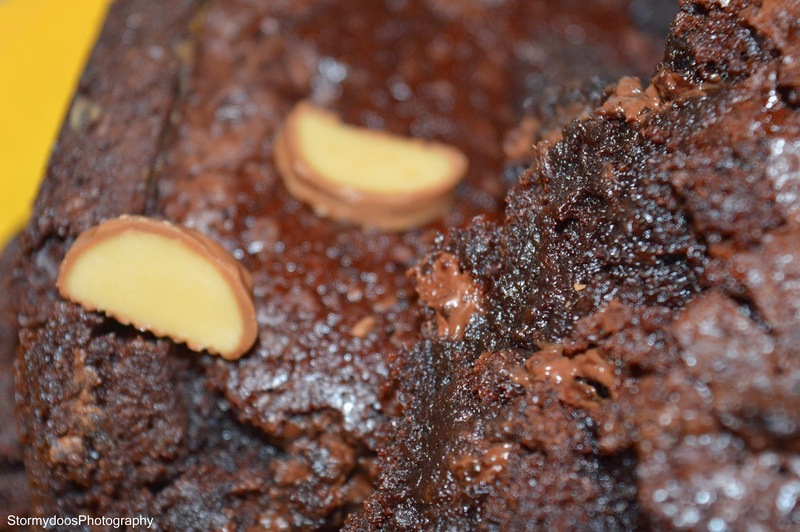 Storms Blog: How to - Tripple chocolate brownies! I decided to give 'making brownies' a go... Baring in mind I dont even know how to use an oven this was a massive task for me, despite this the brownies turned out very yummy! 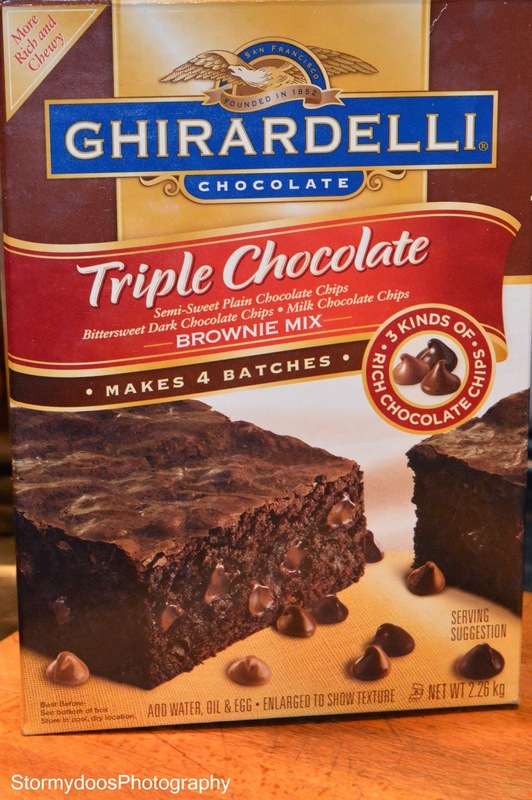 I used 'Ghiradelli chocolate, Brownie mix' this box included 4 singular bagged brownie batches, this made it easier to figure out the measurements of water, oil and eggs for the amount of brownies that I wanted to make. On the back of the box it included measurements of water, oil and eggs compared to the number of brownies you wanted to watch (if that makes sense). I really liked this mixture because it had clear instructions of how to make these brownies, even down the size of tin you should use! Preheat oven to 160degrees / 325F / Gas Mark 3. Lightly grease pan. Place water, oil and egg/s in a mixing bowl and stir until fully mixed. 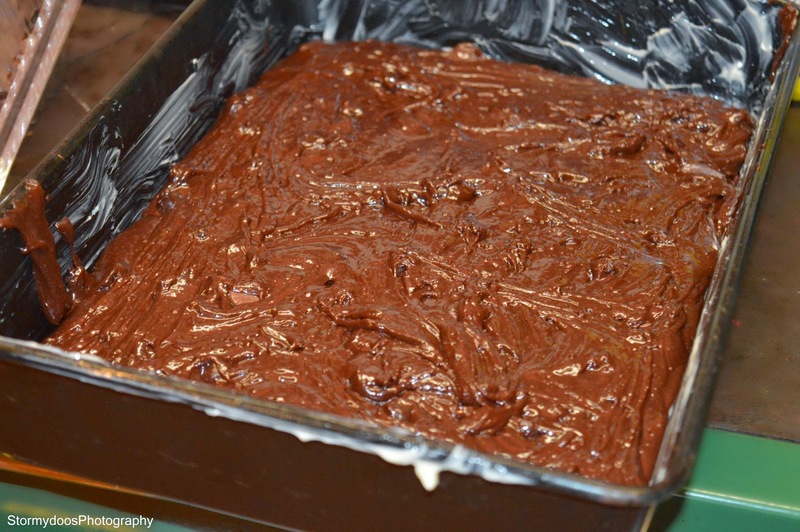 Add brownie mix and stir until well blended. Spread in prepared pan. Bake! If you are using a glass pan, add 5 minutes to the bake time. Cool completely in pan before cutting. Bake in preheated oven (160 degrees) for 50-55 minutes. I decided to cut up some fudge and break up a flake and add it to my brownies, making them even more tasty!